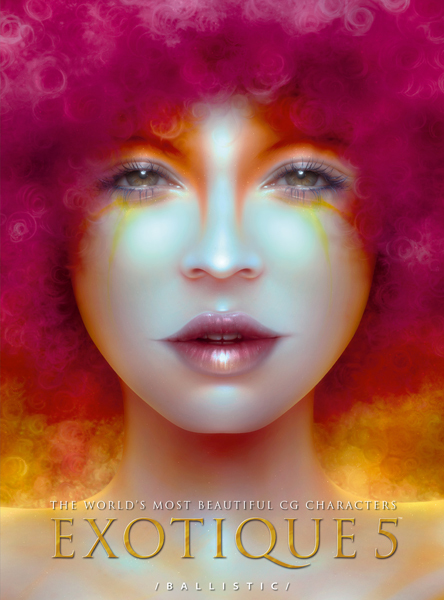 EXOTIQUE 5 is the world’s best showcase of new character artwork. The latest EXOTIQUE packs 20 more pieces of artwork than any previous edition making it the biggest and most inspiring collection to date. The work of 208 highly-talented artists fill EXOTIQUE 5 with 342 pieces of spectacular character art in genres ranging from science fiction, fantasy, and anime, to photorealism and stylized realism. Featuring the work of artists from 44 countries, EXOTIQUE 5 is a uniquely international collection of work with successful entries equally spread across North America, Europe and Asia.